Funky design fused glass wall clock. 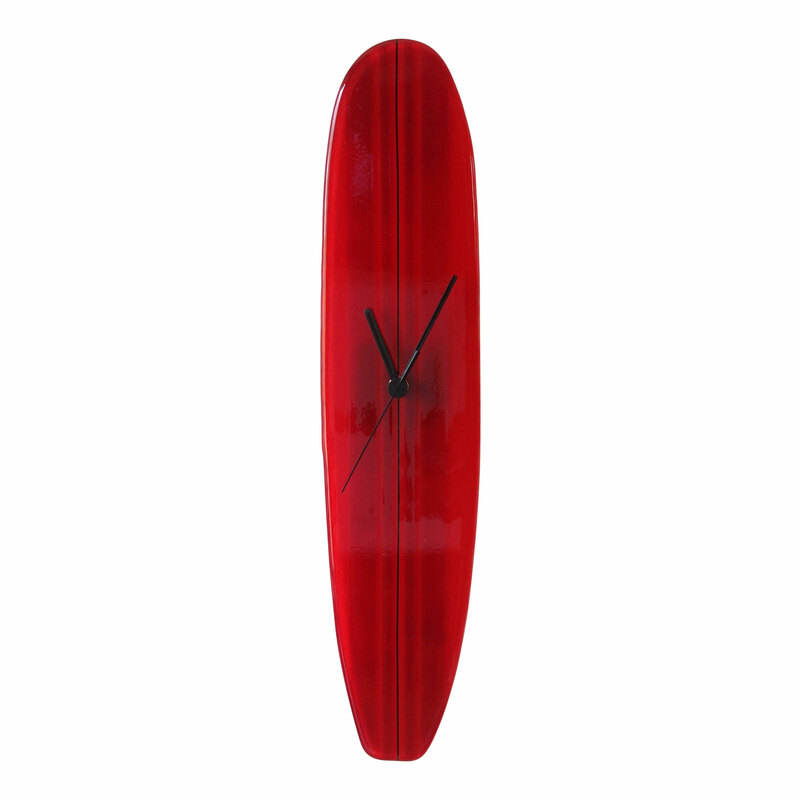 Made with fabulous fused layers design in a mixture of red and berry red stripes on a retro surfboard shaped clock. Unusual and eye catching and sure to make a statement on any wall! Approximately 9cm wide and 45cm long.